My iPhone 6 Screen Is Shattered! Here's What To Do. You are at:Home»iPhone»Repair»My iPhone 6 Screen Is Shattered! Here’s What To Do. You dropped your iPhone 6 and now its screen is cracked. It can be difficult to know what to do or which repair option to choose when your iPhone’s screen is broken. 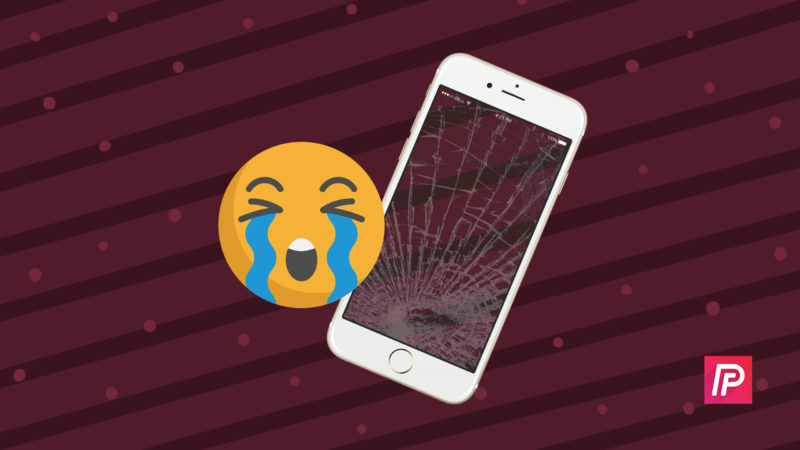 In this article, I’ll explain what to do when your iPhone 6 is shattered so you can get it fixed as soon as possible! When an iPhone 6 screen is shattered, a lot of glass shards usually get left behind. These can be especially sharp, so try to clean up as many as you can — you don’t want to have to make a stop at the emergency room before going to get your iPhone fixed. If there are lots of pieces of glass sticking out from the screen, place a piece of clear packing tape directly on top of the display. The packing tape won’t interfere with a future screen replacement and you won’t accidentally prick your fingers on broken glass. Assess The Damage: How Bad Is It? Once you’ve taken care of the broken glass, it’s time to assess the damage. Is it just a small crack, or is your iPhone 6 screen shattered beyond repair? If it’s just a small crack, you can usually put up with it. There has been a very small crack near the bottom of my iPhone for nearly a year now — I hardly ever notice it! However, if your iPhone 6 screen is completely shattered, you’ll probably want to get it repaired or replaced as soon as possible. A broken screen is usually a high-priority repair because without a functioning display, you really can’t use your iPhone. 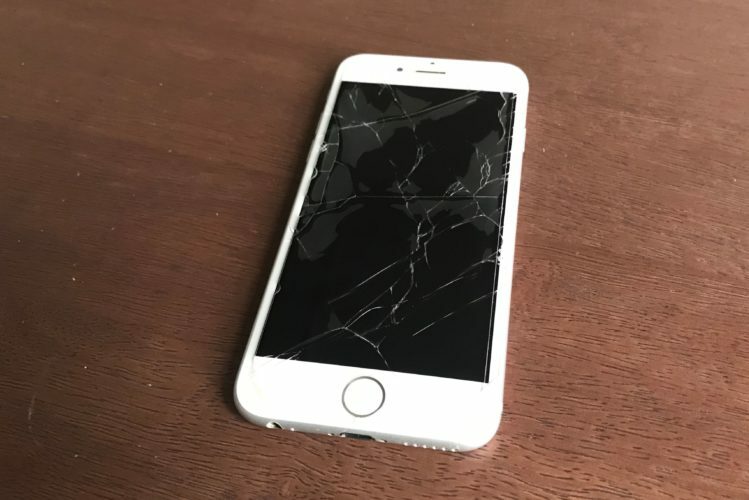 If your iPhone 6 screen is completely shattered, and you think there’s a chance you may get your iPhone replaced, you’ll want to have a backup so you don’t lose your contacts, photos, and other information. Even if you’re just getting the screen replaced, it’s better to be safe than sorry. 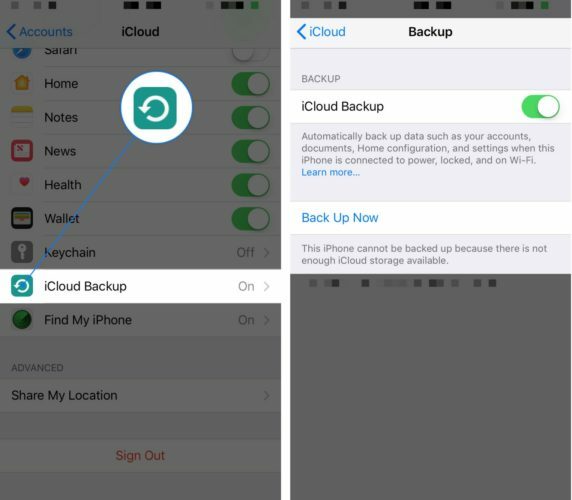 If the screen is still in decent working condition, you can try backing up your iPhone to iCloud. Open the Settings app and tap Accounts & Passwords -> iCloud -> iCloud Backup -> Back Up Now. To back up your iPhone to iTunes, connect your iPhone to your computer using a Lightning cable and open up iTunes. Then, click the iPhone button in the upper left-hand corner of iTunes. Finally, scroll down and click Back Up Now. iTunes will say Backing Up iPhone… at the top of the screen to let you know that the backup is underway. Once the message is gone, you’ll know the backup is complete. Now that your iPhone has been backed up, keep reading for our top repair recommendations! If your iPhone 6 screen is shattered and you want to have it fixed right away, we highly recommend Puls, a repair company that sends a certified technician to you, whether you’re at home, work, or a local coffee shop. A lot of the time, Puls repairs are actually cheaper than the prices you’ll be quoted at the Apple Store, especially if your iPhone isn’t covered by AppleCare. 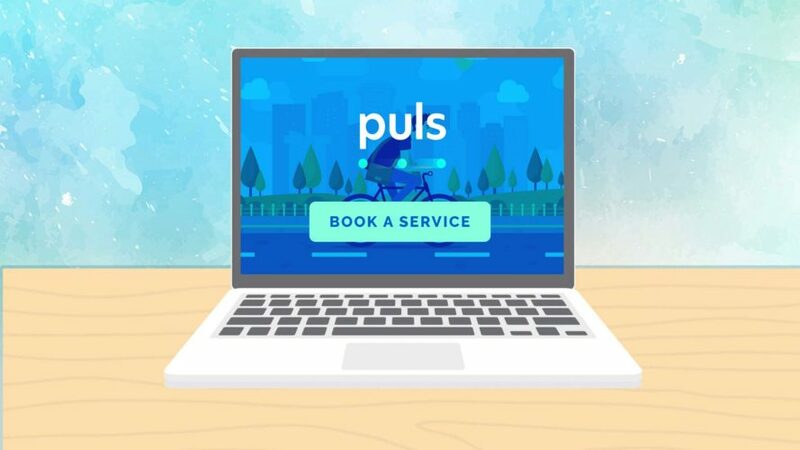 Every Puls repair is also covered by a lifetime warranty, so if you have to have the screen replaced again, they’ll do it for free! If your iPhone 6 is still protected by AppleCare, you may be able to get the screen replaced for a small fee. A screen replacement typically costs $29 if you get it fixed at the Apple Store. However, if anything else is wrong with your iPhone (which isn’t uncommon if you dropped your iPhone on the sidewalk or in water), that $29 repair could end up being hundreds of dollars. If your iPhone 6 isn’t covered by AppleCare, you may end up paying more $200 to get it completely repaired. So, before you set up an appointment at your local Apple Store, check to make sure your iPhone 6 is covered by AppleCare. If you’ve decided you want to bring your iPhone 6 into an Apple Store, we recommend scheduling an appointment first so you don’t have to spend your afternoon standing around and waiting for help. Can’t I Just Fix The Screen Myself? We don’t recommend trying to replace your iPhone’s screen on your own unless you have lots of experience repairing iPhones. Screen replacement is a delicate process and there are lots of tiny parts inside your iPhone. If one thing gets put out of place, you may end up with a completely broken iPhone. Check out our article to learn more about the pros and cons of trying to fix an iPhone screen on your own. Although your iPhone 6 screen is shattered, your hopes of getting it repaired in a timely manner certainly aren’t. Feel free to leave a comment down below if you have any other questions about your iPhone 6 or the repair options recommended in this article. Previous ArticleHow To Update An iPhone: Everything You Need To Know! Next Article My Verizon App Not Working On iPhone? Here’s The Real Fix!